Parkland Health & Hospital System in Dallas, Texas, has recently re-centralized its phlebotomy services to its Emergency Department in an effort to reduce specimen contamination rates and improve the overall efficiency of such procedures. To do that, the hospital turned to phlebotomists for blood draws, relieving nurses and patient care technicians from the task. As Debbie Perrault, vice president of laboratory services explained, “a phlebotomist is trained to draw your blood as quickly and painlessly as possible“, implying that a phlebotomist’s specialization on blood draw procedures would eventually improve the efficiency of Parkland’s services. 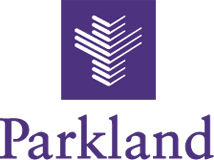 Clifann McCarley, president of nursing, further explained that such a change in the hospital’s practices was necessary, taking into account the volume of patients reaching out to Parkland’s emergency room on a monthly basis (10.000 patients). In November 1, 2012, the hospital announced that the two-week pilot program has resulted in $122,000 in savings and an improvement of the collected specimens. Consequently, the hospital’s emergency room is now stuffed with six phlebotomists, serving patients Monday through Friday. Since the program was such a success, it is now planned to expand to weekends and round-the-clock coverage by the end of 2012. Phlebotomists “versus” nurses – who should draw blood? Amanda Montgomery. An Example of a Phlebotomist!